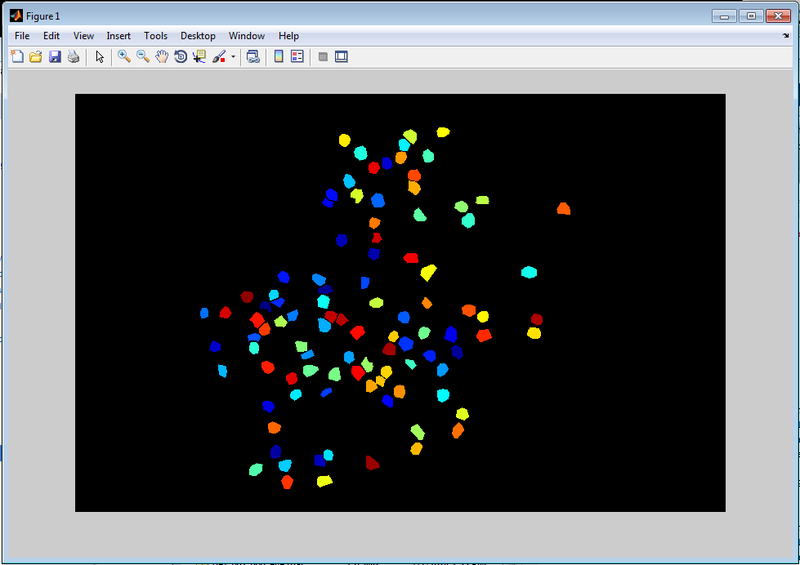 Scanbox includes some basic processing functions that you can use to (a) align the images to compensate for (x,y) movement, (b) segment cells, (c) extract the signals corresponding to the segmented cells from the image sequences. The first step that is sometimes required is to compensate for motion in the (x,y) plane. The basic algorithm we employ was described here. The basic function used to align the images is called sbxalignx(). This function takes the name of an image sequence (*.sbx files) and a set of indices (usually from 0 to N-1 where N is the total number of frames in the sequence) and returns an optimal translation for each frame (T) and the mean image of the stack after the alignment (m). Typically one starts by aligning all experiments, so there is a simple function that will align all the images within a directory called sbxaligndir(). All you have to do is change the working directory in matlab to the one containing the data and simply call sbxaligndir without any arguments. The results are saved in *.align files with the same root name as the original. If you open an *.align file you can check the average, aligned image and the optimal translation for each frame. 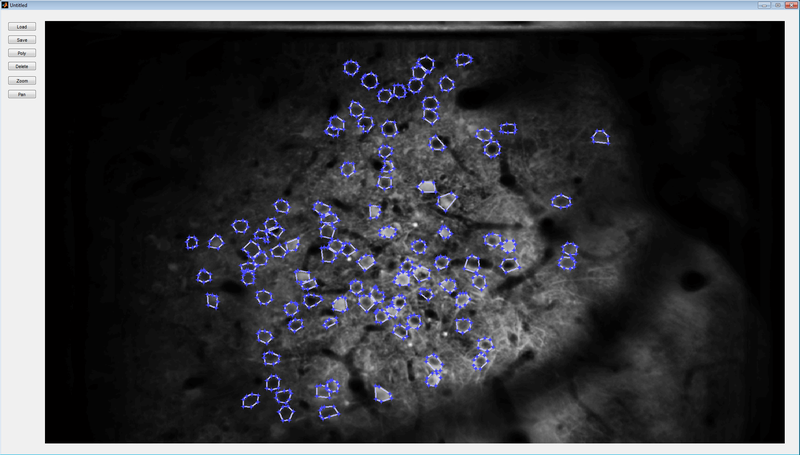 Once the images are aligned one possible way to proceed is to segment the individual cells. There are various semi-automatic ways of doing this published in the literature and we are exploring them. At the moment we are simply manually segmenting the cells using a GUI-based tool that you can call by typing sbxsegmentpoly in the Matlab window. Now that you have your signals you are ready to start the specific analyses of your experiment. We will continue to update the tools of this processing pipeline… So stay tuned. Live long and do good science!